Former State Sen. Gary Nodler will be honored with the Richard M. Webster Medallion during a special presentation at 2 p.m. Wednesday, Nov. 14, in the North End Zone Facility at Missouri Southern State University. Established by Missouri Southern in 2015, the award is presented annually to an elected official who has made significant contributions to the public good and demonstrated political leadership at the local, state or national level with the spirit of Webster. In 2007, he sponsored a bill that generated funding for construction at state universities, including the Julio Leon Health Sciences Building, and was instrumental in securing funding for the construction of the North End Zone Facility. He was recently appointed by Gov. Mike Parson to serve on the Missouri Coordinating Board for Higher Education. “As a senator, Gary Nodler played an instrumental role in legislation that has helped shape Missouri Southern into what it is today, and what it can be in the future,” said Dr. Alan Mable, president of MSSU. 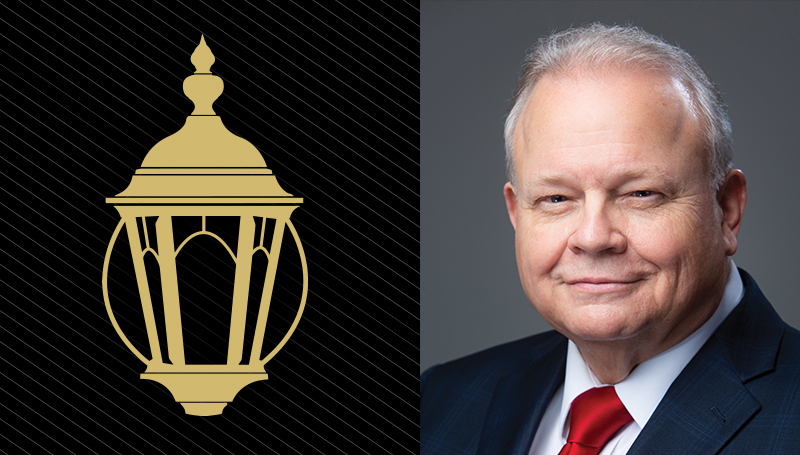 “As both a Lion and a member of the community, he recognizes the value of higher education and the role we play in this region and has served as an advocate for this institution and our students. The medallion is named for the late Richard M. Webster, who was elected in 1948 to Missouri’s House of Representatives – and named Speaker of the House in 1954. He later served as a Missouri State Senator from 1962 until his death in 1990. As a young senator, he played a significant role in transforming Joplin Junior College into a four-year school by sponsoring legislation which created Missouri Southern. He also helped secure funding for the college from the House and Senate. Nodler knew the late Sen. Richard Webster for more than 25 years and stated he considers it an honor to be selected to receive the award. Will Delehanty, an associate professor of political science at Missouri Southern, will serve as emcee at the award presentation. A reception is set to follow Wednesday’s ceremony.